Eljap | Groothandel voor gekonfijte en biologische Fi-Ji gember. 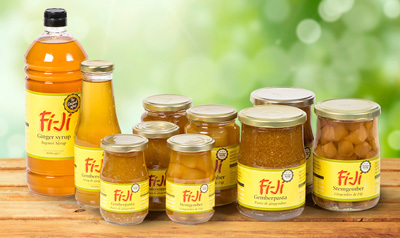 Fiji ginger is harvested where the nutrient-rich volcanic soil packs it with trace elements and minerals. Fi-ji Organic Ginger is hand-cultivated, 100% certified organic and free of chemicals, pesticides, preservatives, and additives. Enjoy it for its amazing flavor. For the food-serving industry, ginger is one of the most important herbs to use in their dishes. Chefs know how ginger can bring a fuller flavor to any dish. 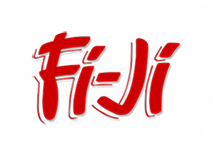 Fi-Ji ginger is an extraordinary product. It combines well with everything, such as dairy, fish, meat, pastries, chocolate, fruit, sauces, dressing, marinade, cereals, etc. 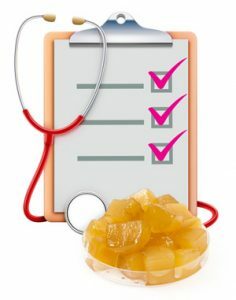 For more than 5000 years, ginger has been known as a healthy super food. The Fi-Ji stem ginger finds its way to the consumer in syrup, and the loose crystal ginger in bags and cups. Looking for an alternative for Fi-Ji Ginger? China ginger is harvested in the south of China. Unlike Fi-Ji ginger ginger China ginger has a more spicy flavor and a slightly firmer texture. Eljap supplies China ginger as an bulk alternative to Fi-Ji ginger. "For more than 5000 years, ginger has been known as a healthy herb with a wonderful flavor. The stem ginger and its syrup are extraordinary and versatile ingredients, and combine well with a long list of base products." 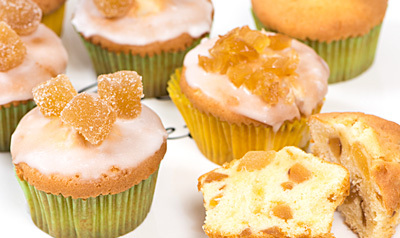 We look forward to welcoming you to Food Ingredients Europe 2017. If you have any questions or would like to make a personal appointment please contact us. BAARN – Gember heeft krachten om bloedsuikerlevels onder controle te houden. Hierdoor kunnen mogelijk lange termijncomplicaties voorkomen worden. Dat blijkt uit onderzoek van de University of Sydney.